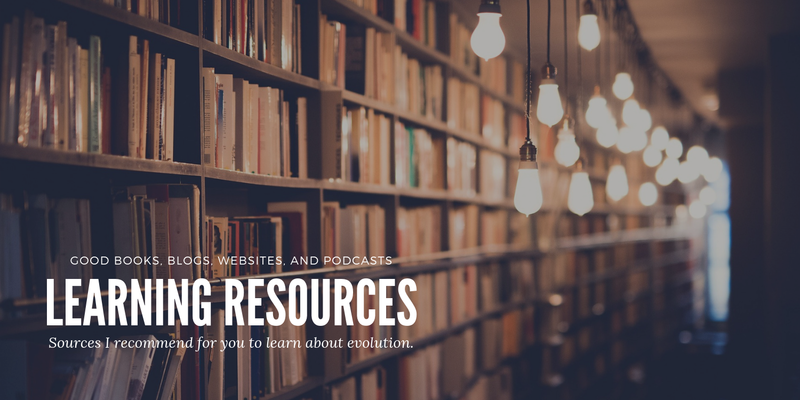 The resources listed below are great sources for additional information about evolution and related topics. In full disclosure, if you click through these links and make a purchase, I will earn a small percentage of the sale. I want to ensure that you are getting reliable, quality content. So, rest assured that I have read each and every book listed below and would never list any resource unless I’ve read it myself and find it valuable in understanding evolution. I’ve also included a personal review of each book, so you can know what to expect. If you’d like to understand other ways in which you can support Evolution and Us, please visit my Support Page. This is the book that started it all. Here I have provided a link to the sixth and final version that Darwin published in his lifetime. The language in this book is not only 19th century British, but also quite scientific, so it can be quite difficult to get through. 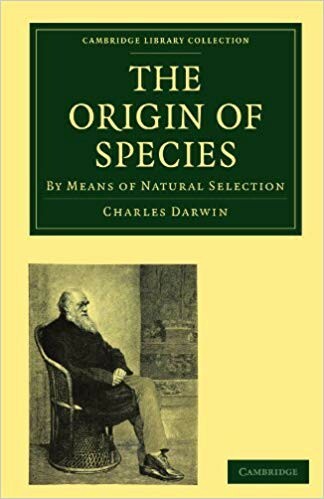 Nevertheless, it lays out Darwin’s original hypothesis and the various tests, observances, and communications he relied on to put forth his controversial views. 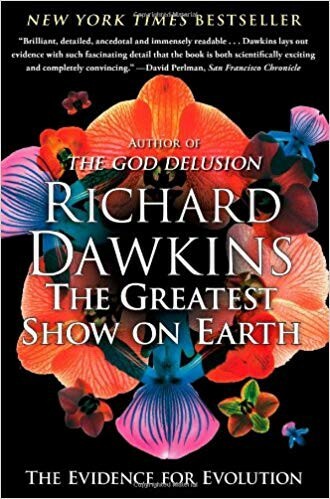 If you really want to understand the basis of evolutionary science and get a better understanding of the man who started it all, I would highly recommend reading this book. If there is one guy, who is passionate about evolution it is Richard Dawkins. He has made the study of evolution a lifelong pursuit, and is also very passionate about educating the world about the theory. This book does a great job of laying out the evidence for evolution, from a biological and geological perspective. Many of the principles that I rely on to understand evolution, I came to understand thanks to this book. For those who are religious or sensitive to religious arguments, you may want to start with the next book. Bill Nye is well known as the comedic, fun-loving character from his PBS show Billy Nye the Science Guy. But he’s also a big proponent of evolution in education. 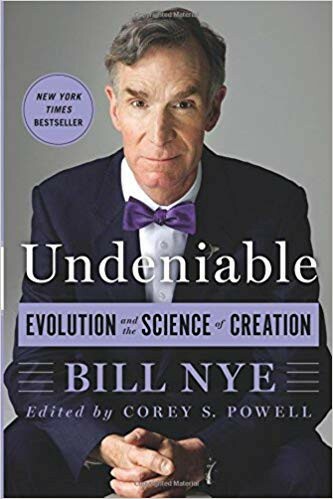 In this book, Bill approaches evolution with the same entertaining and quirky personality that made him so lovable on public television. He covers a broad range of evolutionary topics (from biology and gene theory to geology and the fossil record) in a manner that is entertaining and easy to follow. If you want an intro to evolution that is enjoyable to read, this is definitely the book. Matt Ridley is a great author, who lays out scientific data in a fun, easy to consume way. This book is entirely focused on the human genome, specifically the 23 chromosomal pairs that make us human. Each chapter is focused on one of the 23 pairs of chromosomes, their function, and how they impacts us. 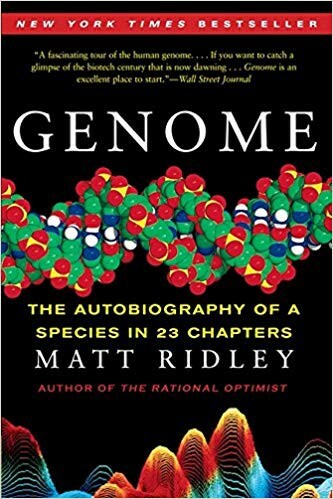 Ridley also does a great job of connecting the DNA of Homo sapiens to the genetic code we share with all other living species, and building a compelling story of how we all share a common ancestor. If you want to take an engaging deep dive into genes, DNA, and human potential then you should check out this book. Yuval Noah Harari is one of my favorite thinkers and authors. He is a historian, philosopher, and professor at the Hebrew University in Jerusalem. 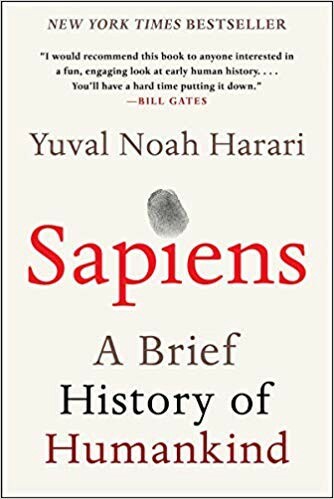 In this groundbreaking book, Harari outlines the path that Home sapiens took from their humble origins in Africa to their current state of global dominance and technological advancement. This book reads like a story that is both entertaining and engrossing. I Could NOT PUT IT DOWN. Within the covers Harari explores the evidence of other known, intelligent hominids and possible conclusions for why Home sapiens arose as the dominant species. He explores the agricultural revolution and its lasting affects on our species and the globe. His writing style is thorough but not burdensome. If you want to explore the historic evidence for evolution, rather than just the scientific evidence, I highly highly recommend this book as a starting point. Jared Diamond is also one of my favorite prolific thinkers and authors. He is a professor of Geology at UCLA, but his research and grasp of complex topics goes far beyond geography. Similar to Sapiens, this book explores the history of humans from the very beginning of their evolutionary appearance to the present day. What is great about this book is that it lays out a complex yet compelling explanation of the current state of our global society and power dynamics. Rather than being the result of genetics or religion, the empirical powers of the world have benefited from their placement geographically and their access to agricultural resources. 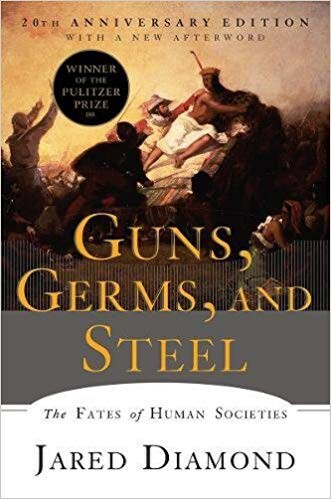 From both a study of evolution and the history of societies, I highly recommend this book. 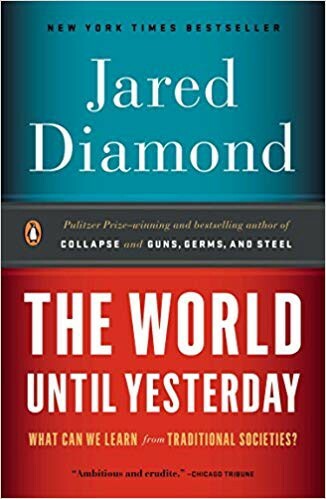 This is the second of Jared Diamond’s books that I have read and enjoyed. In this book Diamond explores the lessons we can learn from the remaining cultures of the world that resemble our hunter-gatherer past. While being genetically the same as modern societies, these cultures offer a glimpse into the behaviors that were likely exhibited by our ancestors. While we benefit from technology and freedom of movement, are there beneficial things we have left behind? Diamond is a thorough thinker and writer and I recommend this book for its engaging personal stories and depth of thought. I love to read books that get me thinking about why we, as humans, are the way we are why we do the things we do. In this book William von Hipple does just that. Hippel is a professor of psychology at the University of Queensland. In this book he explores the potential chain of events that led to the development of Homo sapiens as a social ape on the grasslands of Africa. He explores how early humans survived and what that means for us. 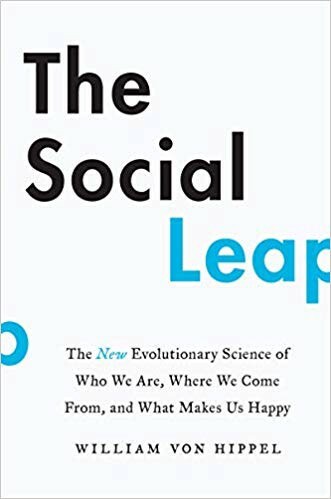 Within the pages of this book, I found especially fascinating the explanation for human physiology (why we run, sweat, and throw the way we do) and our unique social intellect. If you want to learn about the development of our oversize brains and advanced intellects and the social strategies and tactics they enable, I would recommend this book. Elizabeth Kolbert is a staff writer at the New Yorker and a contributor for the Times Magazine. As a journalist, she does a fantastic job of telling a compelling story, interwoven with personal experiences and conversations with scientists and researchers. 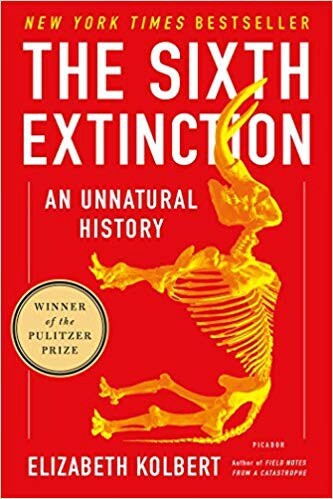 This book is fascinating, as it explores mass scale extinction events of the prehistoric past, localized extinctions at the hands of humans, and potential extinctions of the future. Kolbert’s ability to tie story to scientific research makes this book extremely readable. Sometimes reading something written by a non-scientist is a refreshing break from more academic literature and, in the case of the Sixth Extinction, the reader loses nothing from the perspective of scientific rigor.